Welcome to Villa Rosa Hotel Desenzano del Garda. 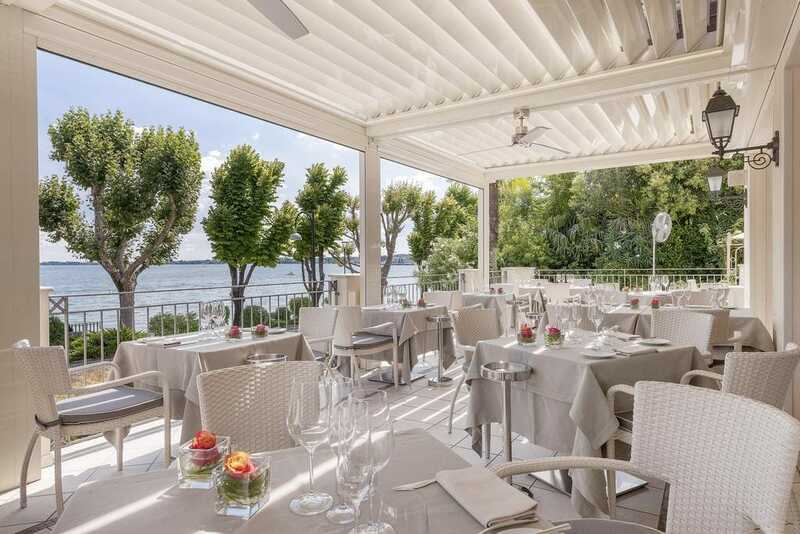 4-star hotel overlooking Lake Garda, at a short distance from downtown Desenzano, will amaze you with its unique style – luxurious but never formal, fresh and always friendly, combining the unmistakable touch of an old neoclassical lakeside villa with a sparkling modern presence. Lying in the sun next to the heated pool, sitting on the beautiful terrace overlooking the lake and being cared for by staff renown for its friendliness, you will truly experience the natural beauty of Lake Garda. The Villa Rosa Hotel Rooms and Suites are designed around you, offering a pleasant environment where you can spend soothing days at rest or work. You will be surrounded by the contemporary chic style that characterizes the hotel, with details in contrasting light marble, wengé and leather. All rooms are very bright, with a lake or garden view, equipped with Wi-Fi ADSL Internet Connection and an innovative 32” LCD TV that will allow you to access to movies, music and a multitude of satellite and digital channels, so you never get bored! In the Villa Rosa Hotel garden overlooking Lake Garda, stands the round, beautiful, and elegant seasonal outdoor pool. Immerse yourself in the pleasant salt waters of the whirlpool, surrounded by greenery with chaise lounges and tables, where you can enjoy the peace and scenery of the Lake. Faced with a scenario of an almost incomparable lake view, just a short distance from the waters of Garda, with a simple, light and healthy cuisine. Thanks to a modern and stylish look combined with first class service and a stunningly beautiful and charming location, the Rose & Sapori restaurant is an atmospheric setting for “your special occasions.” Always sensitive to the topic of food allergies, the restaurant has been a member of the A.I.C. for gluten-free cooking for years. The Villa Rosa Hotel offers you a large 120 seat Conference Room, which can be divided into two soundproofed rooms and equipped with 20 and 70 seats. (Villa Rosa Hotel Desenzano del Garda hotels).